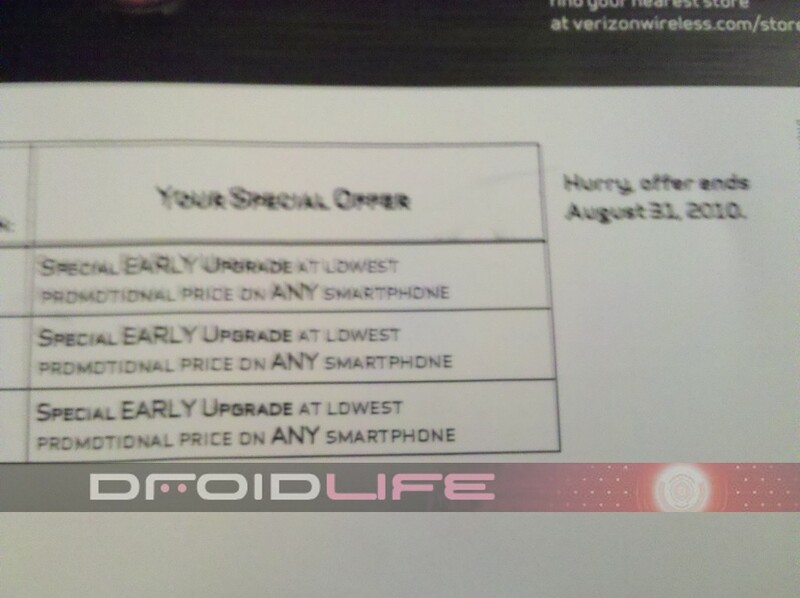 One of our readers just sent in these pictures of a new promotional piece he received in the mail from Verizon which will allow 3 of the lines on his family plan to use a “special early upgrade” to “any smartphone” including the brand spankin’ new Droid X. Cool right, but what’s the big deal? 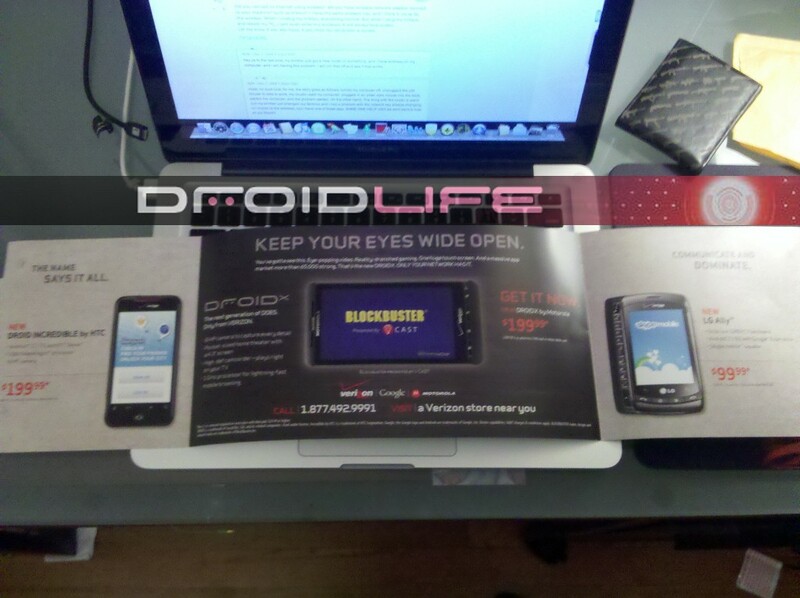 Our tipster is a Droid 1 owner and is not even close to his 1 year upgrade let alone his 2 year, meaning his account has been flagged for “Next Best Activity” which you may recall from this promotion. And while his line doesn’t necessarily meet the guidelines posted there, we’re assuming one of the lines on his account did which in turn is allowing all of the lines to upgrade. Sweet right? 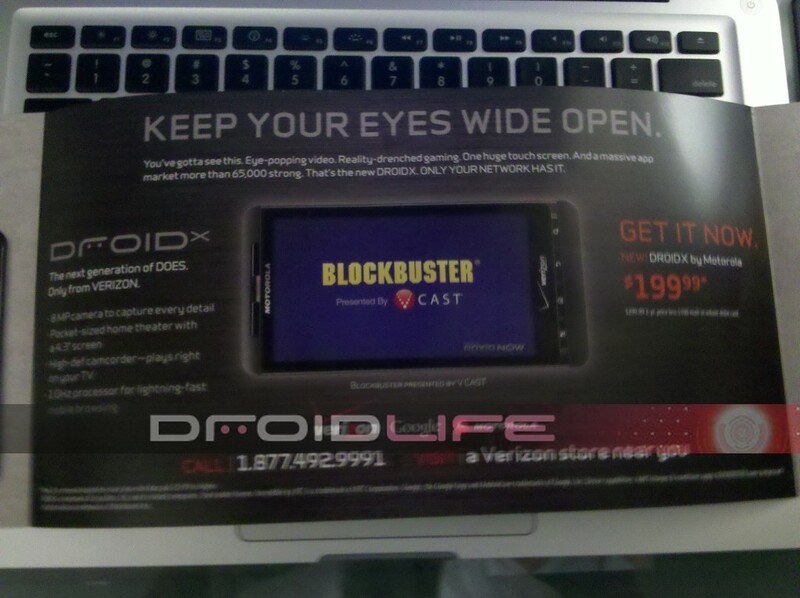 If we’ve got any Droid 1 owners out there looking for an early upgrade opportunity, this might be it. Feel free to mention this post at your local VZW store and see what happens, well until August 31st anyway when the promo ends.